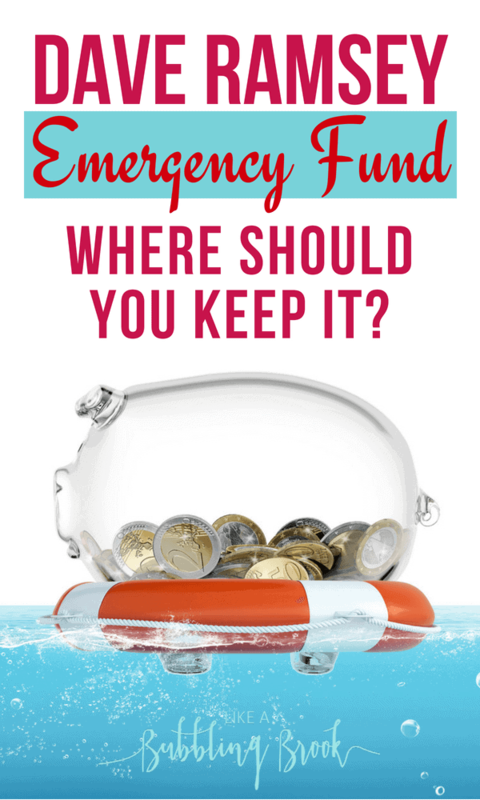 Working on a Dave Ramsey Emergency Fund and wondering where you should keep it? Whether it’s Baby Step #1 or Baby Step #3, here’s what you need to know. Where should our Dave Ramsey emergency fund be kept? 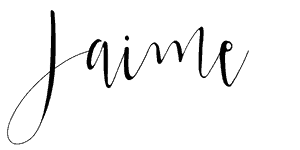 This question has been asked quite a bit, so I thought I’d address it here on the blog today. Perhaps the biggest perspective shift you can have with your Dave Ramsey emergency fund (whether it’s baby step 1 or baby step 3) is that it’s not an investment — it’s INSURANCE. When we went through the recession in 2008/2009, we were so thankful that our emergency fund was easily accessible. My husband was laid off work for several months, and we used our emergency fund to stay afloat during that time. We didn’t have to accrue any debt! It’s wise to remember how quickly the stock market drops 5%, 10%, or even 15%. Often, when it drops like this, investment centers are flooded with phone calls, with hundreds of people in the cue, all panicking and wanting to sell because it might keep on falling. They lock in big losses on their investments. It’s easy to lose your emergency fund for a time period if it’s in an investment that can go down in value, such as mutual funds or index funds. The other thing to consider is that the purpose of your emergency fund is to protect you in the event of a major life crisis, like a job loss. If we are hit a recession again (and we will be at some point), there are usually staggering layoffs and steep stock market declines. So, the time you need your emergency fund the most is also the same time it has plummeted in value. That’s scary! So, what do we personally do? We keep our emergency fund in a bank, earning around 2% interest. You can use a good local bank (if you have one that offers decent rates and no/limited fees), or you can use an established online bank like CIT Bank. They have a good Money Market savings account that pays competitive interest rates (1.85% currently). There are no fees to open an account. You can learn more about the CIT Bank Money Market account here. If you’re still not convinced, Dave Ramsey answered a similar call about emergency funds. His reply is here. When you think of your Dave Ramsey emergency fund, don’t think of it as an investment — think of it as insurance. It’s insurance against job loss or another major crisis, and you need to preserve it. Don’t risk it! You want to be sure it’s all there when you need it the most. Need help with a “pen and paper” budget? Grab my Budget Binder Toolkit. If you like to budget online instead of on paper, I encourage you to try Mvelopes as an alternative to the other programs (like EveryDollar). It’s our favorite! Read my Mvelopes review here. We keep 3 months in a savings account and 6 months in a CD. The CD has a 90 day early withdrawal penalty. I didn’t want *all* of the fund to wither away in value from inflation, so this seems to be a good compromise. CDs are low risk, easy to liquidate if we need it. We’ve already made a couple hundred dollars from the deposit a couple months ago!